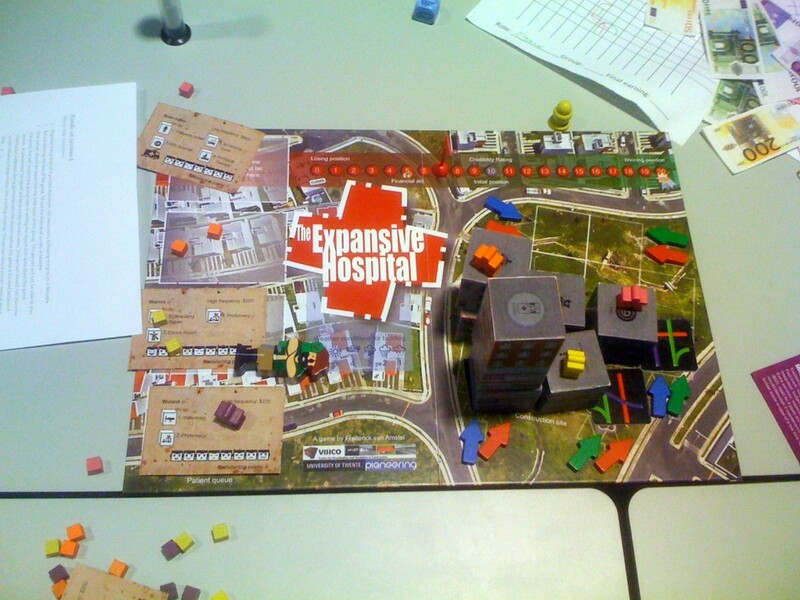 Psychological experiments with design students | A board game about conflicts of interests in healthcare design. The Expansive Hospital is being used as a basis for conducting psychological experiments with design students at the University of Twente. The goal of the research is to understand the emergent qualities of collaboration in design, such as moderating self-interest in favor of common interests. 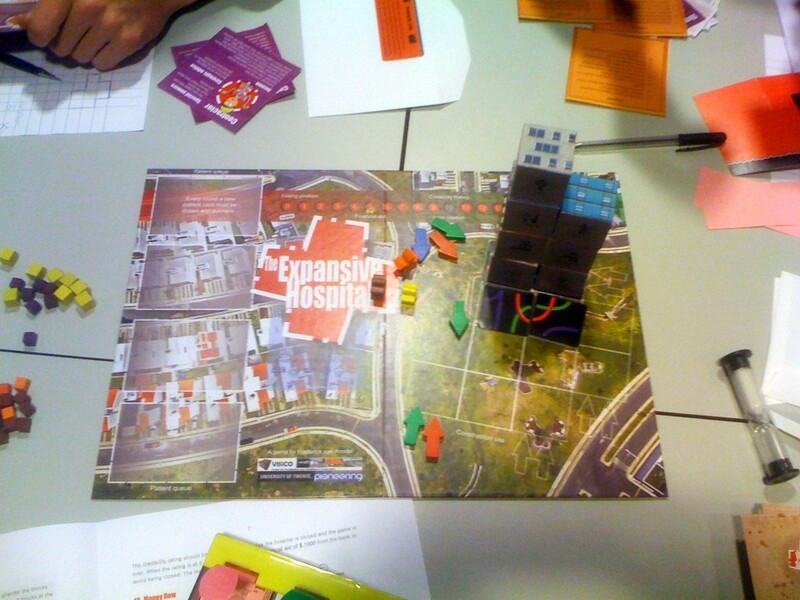 An experiment was held this Tuesday with 60 facility design students. 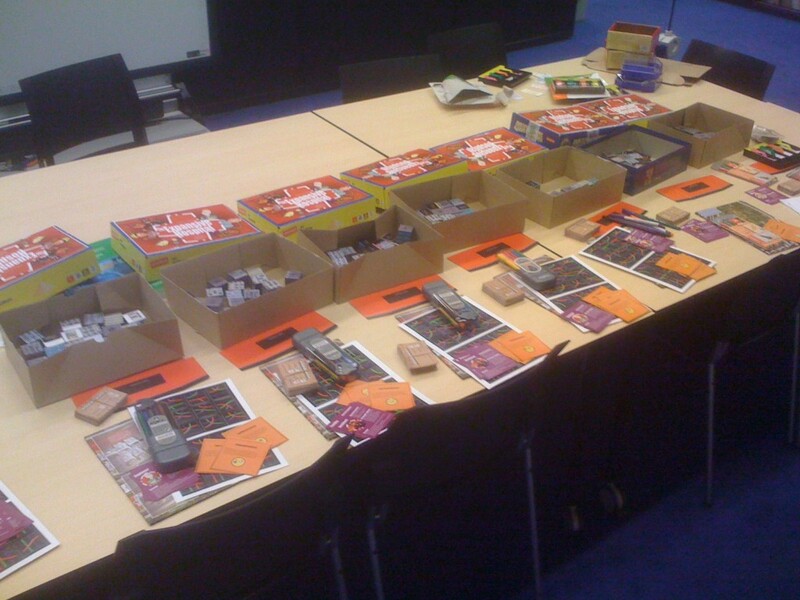 An assembly line has been organized for the manual production of eight game boxes. The results of the experiment will be analsyzed with care. 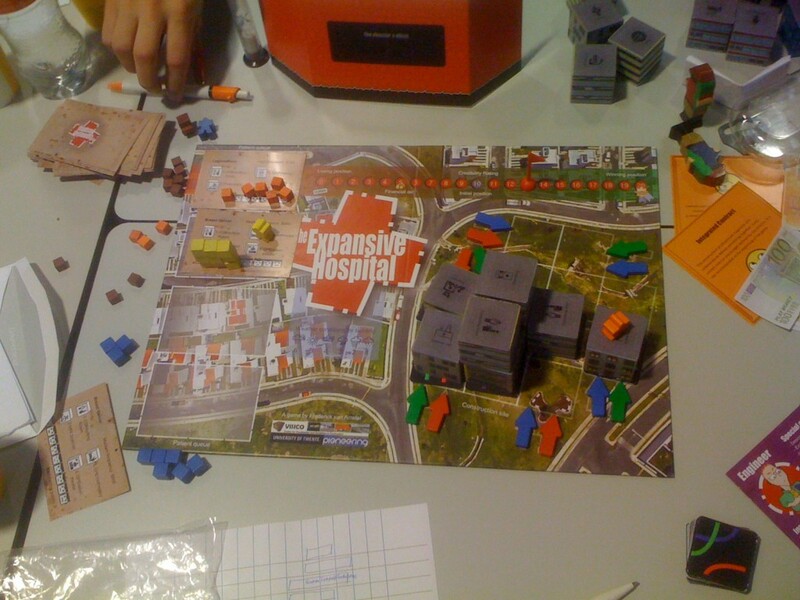 By now it is already possible to see how the hospitals expand in each group according to the emergent collaboration among the players. You see very compact and inneficient buildings in less collaborative teams and more spread and logically organized buildings in more collaborative teams. The experiment confirms what psychologist Paul Piff found out when playing Monopoly: people who earn a lot of money become meaner with other players. 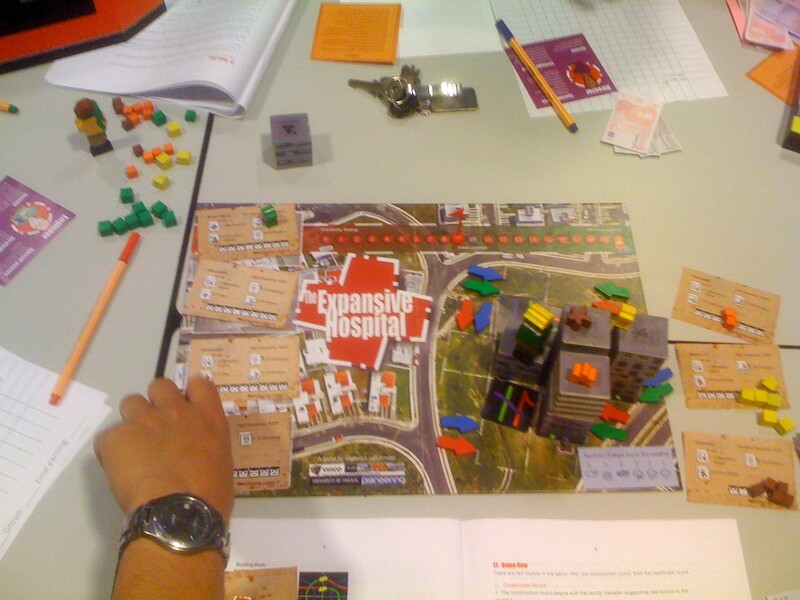 However, The Expansive Hospital differs drastically than Monopoly since it allows collaborative gameplay as an option to win the game. What happens is that some players realize they are becoming meaner and change their behavior and some do not. The results of this experiment will be published in a scientific journal in the future.